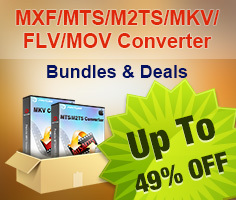 Home » How to Extract and Convert MKV FLAC 5.1 to AC3/AAC 5.1 in MKV for playing? With the fast development of the digital music devices, music manic fanciers have always pursuit the highest quality of the listening experience. FLAC is a wonderful codec to maintain the true quality of the original soundtrack. But for the compatible features, it will lose some advantages. Since most FLAC 5.1 audios is contained in MKV, so how to extract the original sound track from them and convert MKV FLAC 5.1 into ACC/AC3 5.1 in MKV format? 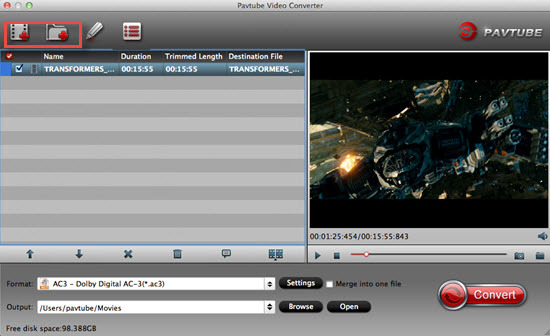 Then you will need this Pavtube MKV FLAC 5.1 Audio Converter for Mac, This converter will free you from the worry about the lose quality when extract and convert MKV FLAC 5.1 audio to AC3/AAC 5.1 in MKV progress, and also you can make it more compatible by converting your MKV FLAC 5.1 into MP4/MOV AC3 or AAC 5.1 to playback on your multimedia devices. Personal custom settings like trim, clip, merge can be done with this great video and audio file converter. It supports Mac OS X Yosemite 10.10 and Mavericks. 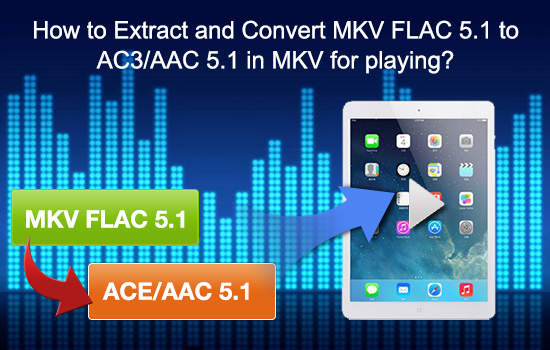 Download and install this MKV FLAC 5.1 Converter on your Mac. 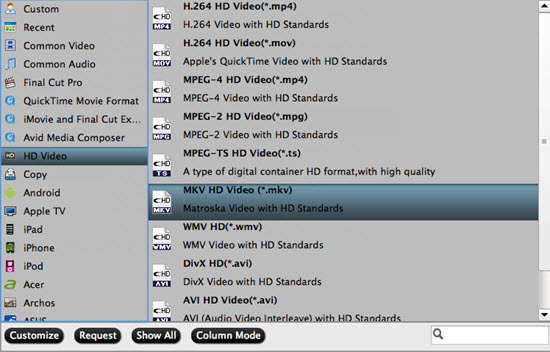 After the installation, click this "File">"Add Video/Audio" or "Add from Folder". If your files are on your Mac desktop, just drag them into this app is also available. 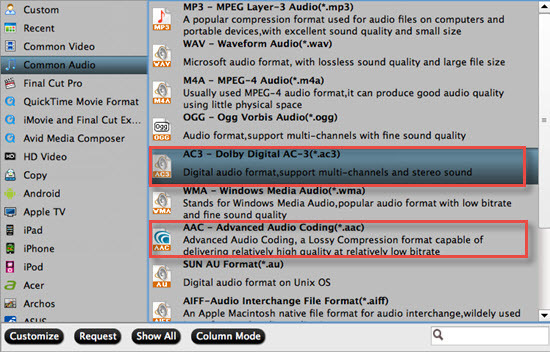 Go to the format bar, then select the "Common Audio", you will see bunch of output options for you. 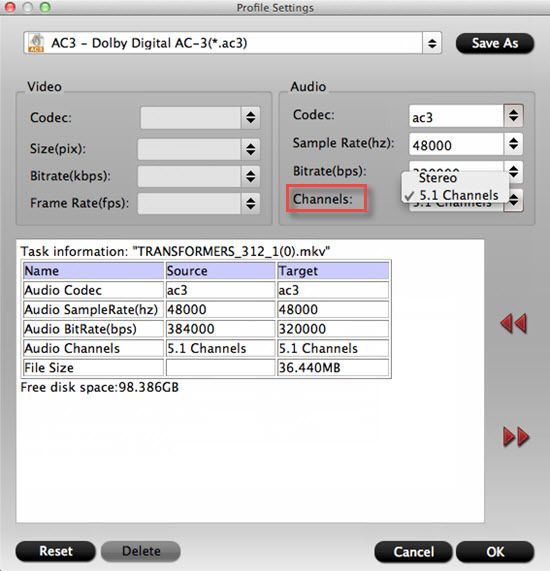 Choose "Common Audio">"AC3-Dolby Digital AC-3 (*.ac3)" or "AAC-Advanced Audio Coding (*.aac)" as your output format. 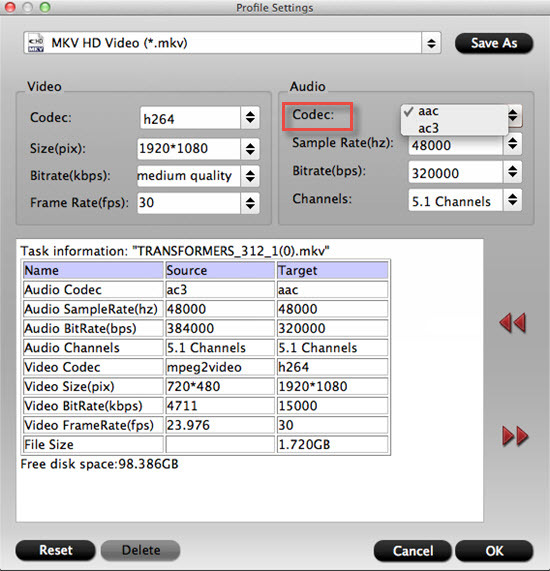 If you want to convert MKV FLAC 5.1 to AC3/AAC 5.1 in MKV for enjoyment, you can just choose "HD Video">"MKV HD Video (*.mkv)"
Then adjust your audio codec settings to "aac" or "ac3"
If the default setting audio is "Stereo", then you can click the drop-down menu to select the 5.1 channels. After finishing all the settings, you can back to the main UI, and click the "Convert". After a few while, you will have a wonderful lossless compatible AC3/AAC 5.1 audio file for enjoy. This function is very useful for some special edition Blu-ray discs if you want to enjoy the original soundtracks of them. For some Apple users, iPad may be their choice to enjoy music and movies, how to play your DTS audios or HD movies with 5.1 channels in your iPad? Check here to learn the detailed steps.